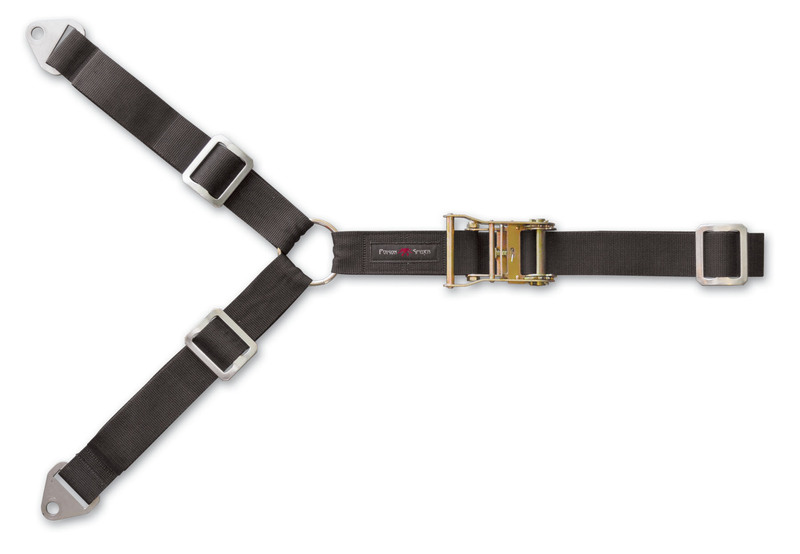 The Poison Spyder 3-Way Spare Tire Strap securely holds the spare tire in place during the Most rigorous four-wheeling. This strap was designed for use with the Poison Spyder Rear Stinger Tire Carrier, but can be used with other DIY-fabricated spare tire mounts or to simply tie the spare tire down into the bed of the vehicle. The use of a strap allows virtually infinite adjustability for any size tire, while allowing quick, easy access to the spare tire without having to use any extra tools. All of these reasons are why similar straps are routinely used for spare tire hold-down duty in off-road racing. Heavy duty ratchet lets you easily adjust, tighten and release tension. Made of high quality nylon webbing with an embroidered Poison Spyder tag.